Outback Steakhouse Commercial 2016 - Too busy to join us for dinner? Order it Curbside! 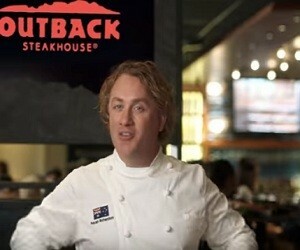 Outback Steakhouse has released a new commercial, inviting you to order online and take away the “juicy tender” Outback steak you want, if you are in the mood to go at the steakhouse or don’t have the time. According to the 15-second spot, if you order online, the Outback crew will bring the dish right to your car.